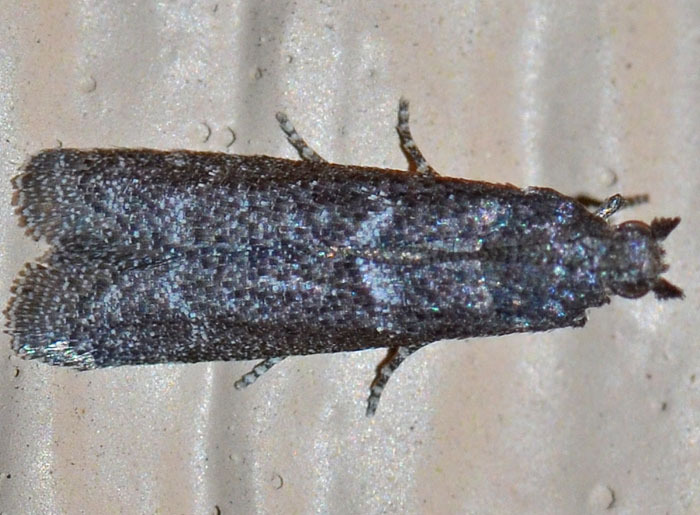 The forewings of this moth are uniformly colored, dark ash-gray and covered by paler scales. Its antennae have large basal joints. The wing span is slight below 1 cm.